For those of you who don't know I love organizing things. There is nothing more satisfying to me than an organized house. Last week I was able to get one of my projects off of my to do list. 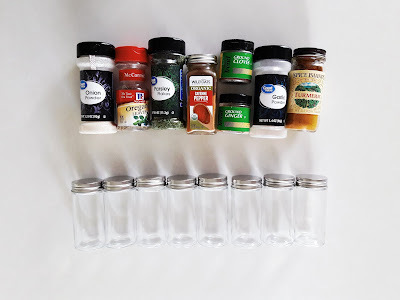 Remove stickers and labels from jars. 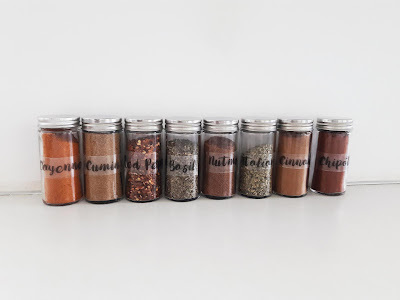 I picked up these spice jars from the Container Store, AKA heaven. 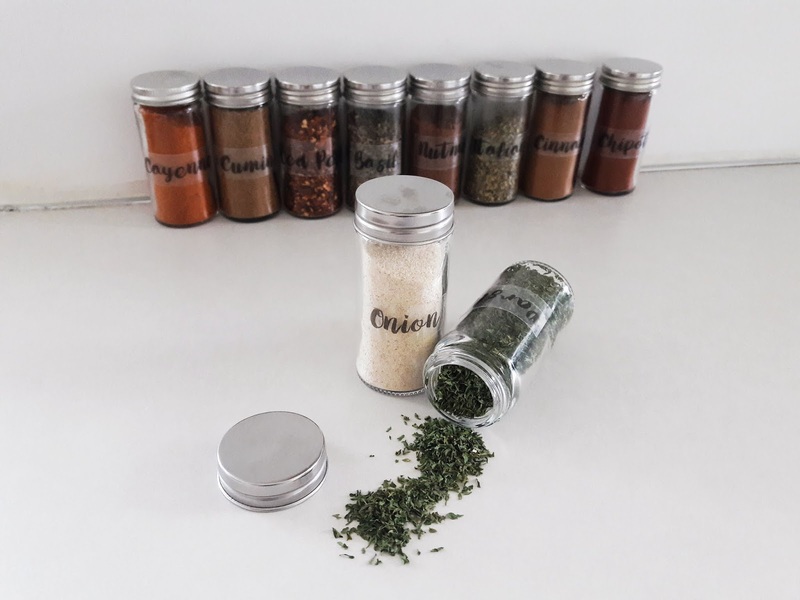 They hold 3 ounces which is more than enough space to hold a regular spice jar and it has a shaker top! Clean the jars with warm water and soap. I created mine on the computer in word with the free font love moment. Then I printed them out on Silhouette Printable Sticker Paper. You do not need a Silhouette Machine for this. It will work with a regular printer. Make sure your printer is set to best or high quality, this will make it so the ink won't come out faint on the paper. 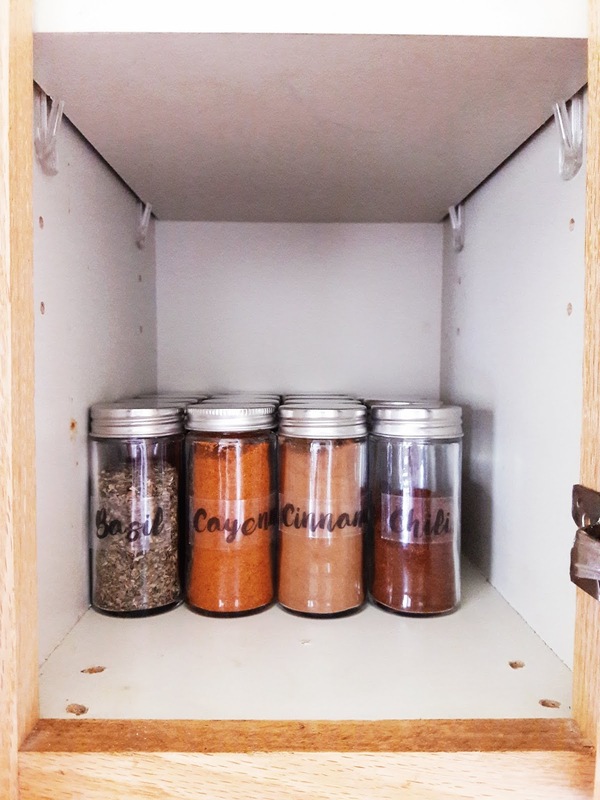 Give the labels plenty of time to dry so they won't smudge. Cut labels to size and place on the coordinating jar. 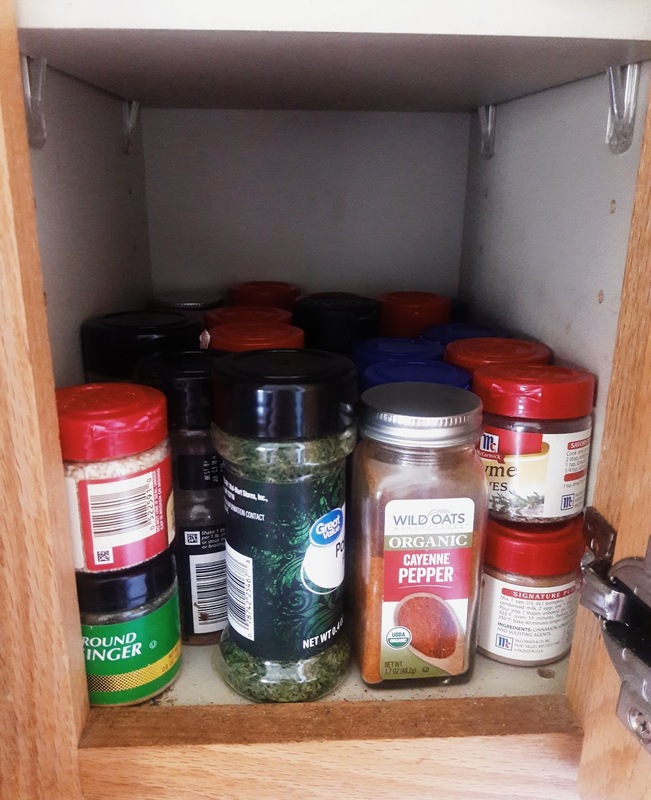 Give your cabinet a good cleaning. Look at how much more room we have! There were several spices that we had doubles of. I could never find anything so I assumed we were out when we actually weren't. Now we can find everything in a snap and we have so much more room! 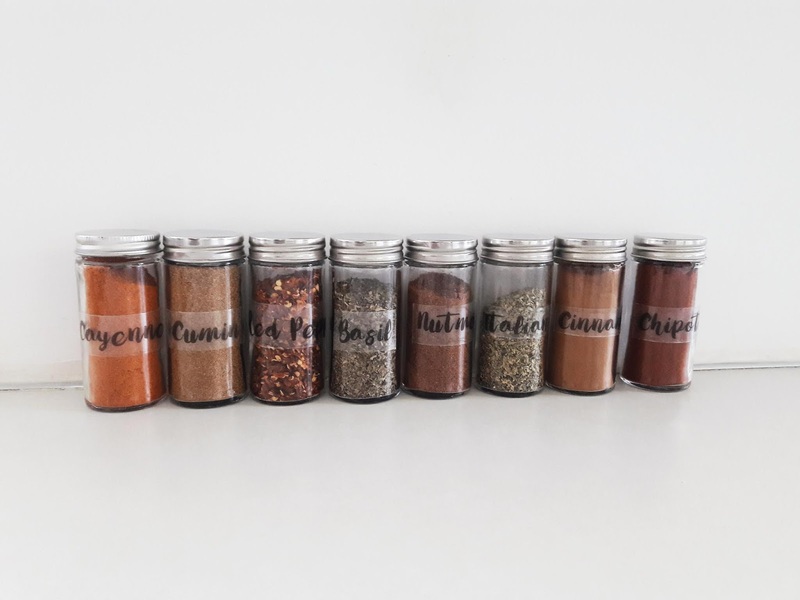 Having the same container for each spice creates a feeling of continuity and makes it look put together. What organizing projects do you have on your to do list?